Both Chicago Steak Company and Greensbury have an abundance of premium-quality, perfectly flavorful options for carnivorous foodies. Still, their offers differ in more than one way. Whether you are wondering which of these 2 meat delivery services is more affordable, more convenient or better suited for your preferences, we have the answers you are seeking. 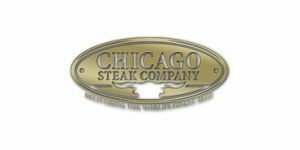 Explore our thorough Chicago Steak Company VS Greensbury comparison below and discover which service is more worthy of your trust and cash.